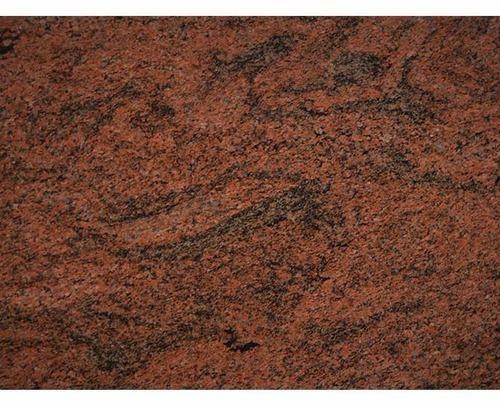 Red Multi Colour Polish Granite is massive, hard and tough, and therefore it has gained widespread use as a construction stone. Granite has been extensively used as a dimension stone and as flooring tiles in public and commercial buildings and monuments. Polished granite is also a popular choice for kitchen countertops due to its high durability and aesthetic qualities. It comes in many natural colors depending on their chemistry and mineralogy. Our company specializes in manufacturing, exporting, wholesaling and supplying a comprehensive range of Rough Pebbles, Wall Cladding and others. Available in varied sizes and shapes, we efficiently meet diverse needs of our clients. Furthermore, due to best quality of products, our company has secured an enviable position in the industry. Fine quality, durability and smooth edges are some features of our range, which make them largely acceptable by huge clientele. To manufacture our range, we have hired dexterous team of professionals. They are familiar in their respective field and help us to meet exact requirements of clients in most appropriate manner. Our experts efficiently understand the existing market tendency and strive to meet clients' expectations according to that only.